Unbelievably brutal considering how little is done by the gov't to find the killers. 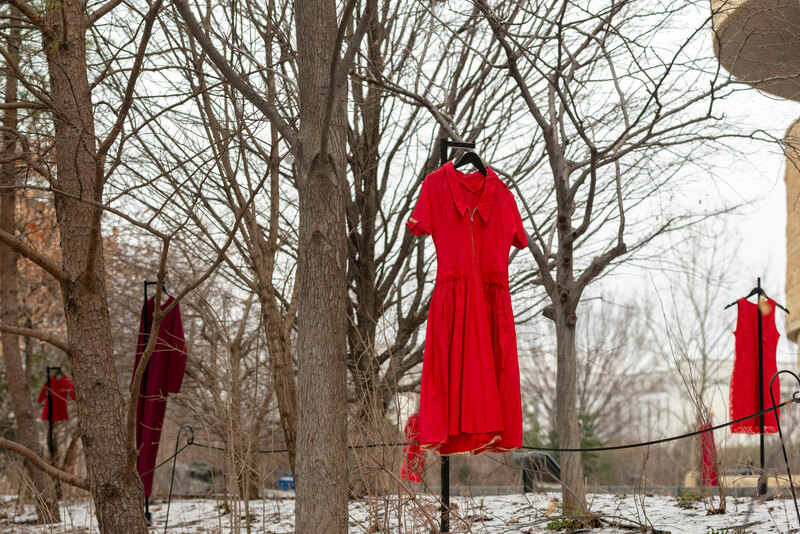 The Red Dress Project has become a grassroots movement in Canada. We are missing many indigenous women and girls in Montana. It’s not okay. what is going on that this can not be figured out. It is a disgrace that this is happening to so many women. and fills my eyes with tears. Hard emotions for me to handle . . .
8. Unbelievably brutal considering how little is done by the gov't to find the killers. It's important to remember that South Dakota's Congressman Bill Janklow was elected, and served in Congress long AFTER it was well known he had raped a young indigenous woman in South Dakota and was not checked by the law there. Of course he was a Republican. "Violence Against Native American Women"
Mia, that imagery is stark, and so immediate, in a way no other medium could touch people. It really personalizes what people might otherwise just see as words on a screen, or in a newspaper. 10. The Red Dress Project has become a grassroots movement in Canada. People have have hung read dresses in their yards and along the highways. It makes a powerful statement. Thank you for the link to niyad's "Violence Against Native American Women" thread.